Prayer seems like it should be so simple. Yet, when it comes to actually praying, often it feels awkward and complicated. I mean ... what should you actually pray about? What do you say? Is there anything you should or shouldn't say? Do you have to speak out loud? Where do you even start? To make matters worse, we've heard about prayer for so long that we feel awkward asking about it. It's like having to ask a person's name after knowing them for years. Because we really should know their name by now, we feel embarrassed to ask. Then comes the reality and craziness of life. Between work, changing diapers, walking the dog, a full inbox, trying to keep up with our neighbors ... and the laundry, who has time to pray? It's like talking. Talking with a good friend. 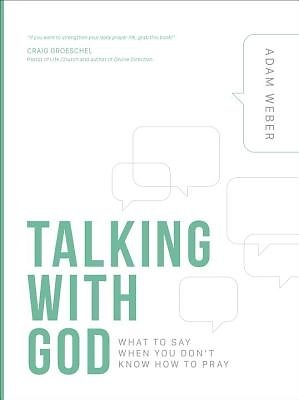 And what we may not know is the best part: no matter where we are in life, God can't wait to talk with us. What do you say when you don't know how to pray? I'm asking the same questions.